This is the full and detailed views of the cover of the second edition for Sacred Clowns. This copy was published in 1993 by HarperCollins Publisher's Inc. in New York, New York. Design and Photography Credits: The jacket design and illustration is by Peter Thorpe. The cover depicts a koshare or Pueblo Clown with an Ancient Pueblo house behind the clown. 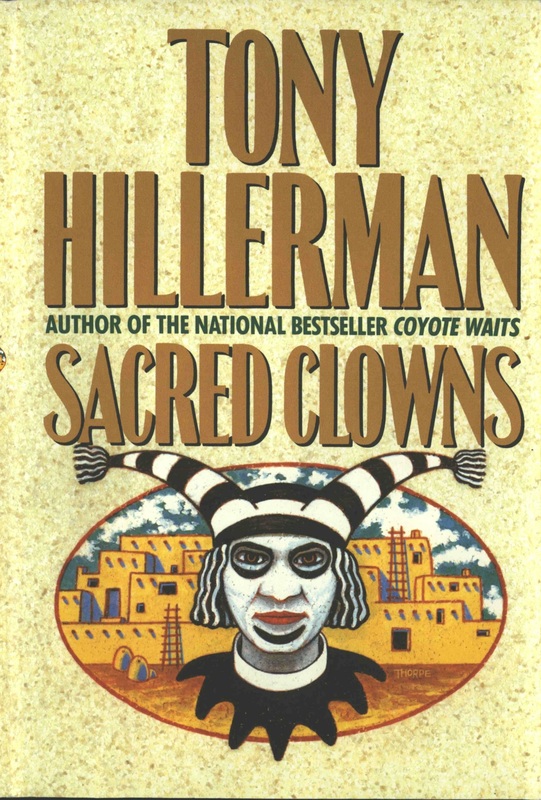 A Pueblo Clown is a trickster Kachina.The front fold out contains praise for Tony Hillerman from the Los Angeles Times and a synopsis of the novel. The back fold out contains a picture of Tony Hillerman and a brief author's biography.